Five Stars for ‘A Bell For Andy’ Check it out! Brian Gallagher and Andy McGrath grew up in the south end of Boston in the 1950s. 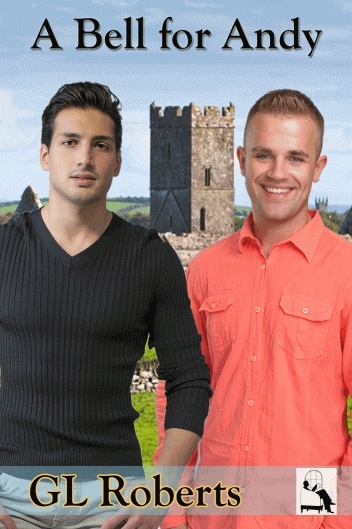 They went to the same catholic school, had the same interest in Ireland, had both been hospitalized for Scarlet Fever–they even shared a room–and grew up having the same dreams that took place during a time they did not live and involved people they did not know. One night during a party, Brian and Andy share a kiss that changes their lives and their friendship forever. It isn’t until high school that Brian realizes that he loves Andy, but his love isn’t returned in kind and the two boys go their separate ways… but the dreams continue. When Brian learns that Andy is in the hospital after being hit by a car, his life becomes torn apart. For the only way to save Andy is to discover the truth behind their shared dreams and uncover a history he’s not sure is real. and will be relived again if it’s not broken. For Brian and Andy share a secret that spans time and have a connection that runs deeper than friendship. Goodreads Reader Leaundra Ross rated it 4.5 stars…I’m glad that Cody got his man. I really wanted to not like Nick’s boyfriend Ray because he wasn’t a nice person but honestly Ray wasn’t the only one to blame for their messed up relationship. Nick shared some blame. It really does take two and if you choose to stay in a dysfunctional relationship than you have to share some blame. I did think that Cody and Nick were good together. I would love to read how they’re doing in the future. I appreciate it when a reader takes the time to review a book they read and enjoyed. Feedback from readers is what keeps me writing. Whether or not they enjoyed the story, the convivial attitude of an honest review is always welcome. Light and Shadow has many elements dear to me and writing it was a labor of love. Thank you Leaundra for your kind words.